The set expands on the 1995 unplugged album, “Stripped”, which delivered acoustic and alternate versions of the band’s classics alongside select covers of tunes by Bob Dylan and Robert Johnson, among others. 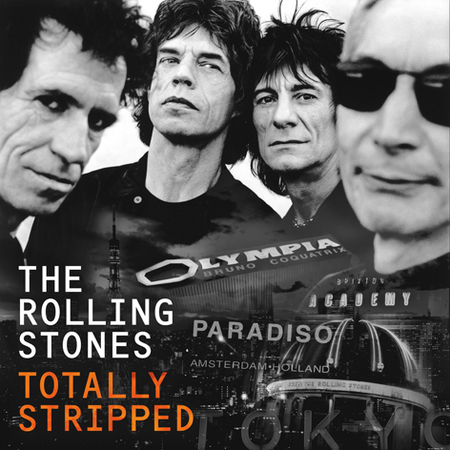 “Totally Stripped” sources three complete Stones concerts from 1995 – the Paradiso in Amsterdam, L’Olympia in Paris and London’s Brixton Academy – and is rounded out with an overhauled version of the documentary of the same name, which gives viewers behind the scenes look at the making of the original package. “Totally Stripped” is now available in a variety of formats, including DVD or SD Blu-ray, DVD+CD or DVD+LP, single CD / 2LPs and Deluxe Editions on DVD or SD Blu-ray complete with a 60 page hard book set containing 5 discs which boasts hours of previously unavailable music. The Rolling Stones will next be seen live this fall as one of the headliners of the new classic rock festival Desert Trip. Running October 7-9 and 14-16 at the Empire Polo Club in Indio, California, the Stones and Bob Dylan will perform on Fridays, Paul McCartney and Neil Young on Saturdays, and Roger Waters and The Who will close out Sunday evenings.